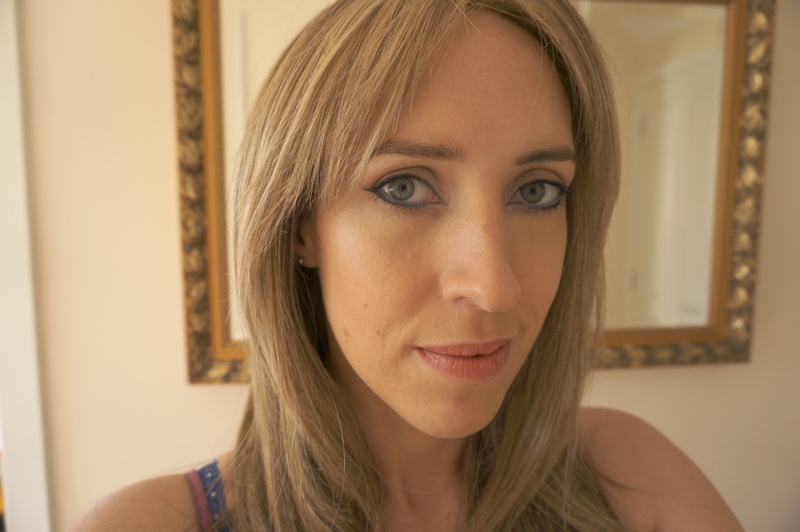 Today I want to show you some lovely skincare and makeup bits from Lloyds Pharmacy. I’m clinging on to the summer as tight as I can so I thought I’d share a quick makeup look with you! Firstly, as we all know, good skin starts within, if you eat and drink healthily this will definitely have an impact on your skin. I’m really trying my best to drink more water! 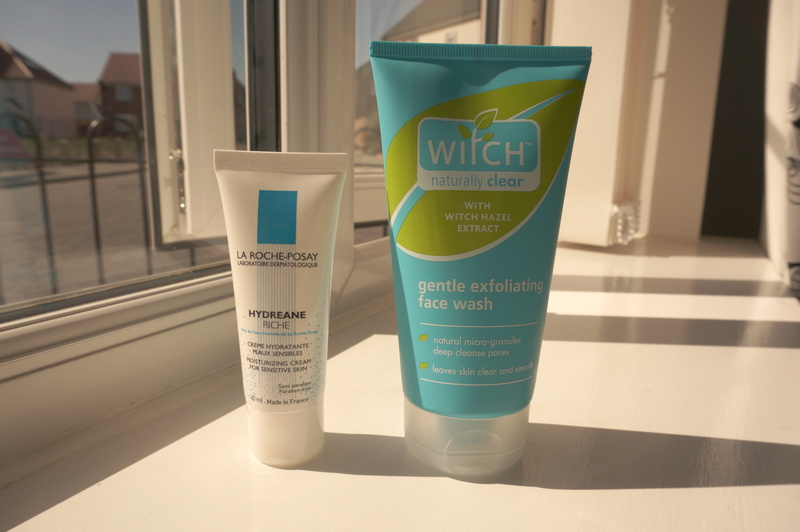 Also, in warmer weather you don’t really want to be caking the makeup on, so I prefer to keep skin clean and makeup light – just using exfoliator and moisturiser to start with. I’m naturally quite pale, so I love a fake tan in the summer. I work in an office so I don’t get much of a chance to get a real tan! St Tropez is one of my favourites, I also like to use a BB cream on my face for a more even skintone. I absolutely love this Korres Eyeliner Pencil in ‘Sky Blue’ I use it on my waterline to make my eyes look brighter. 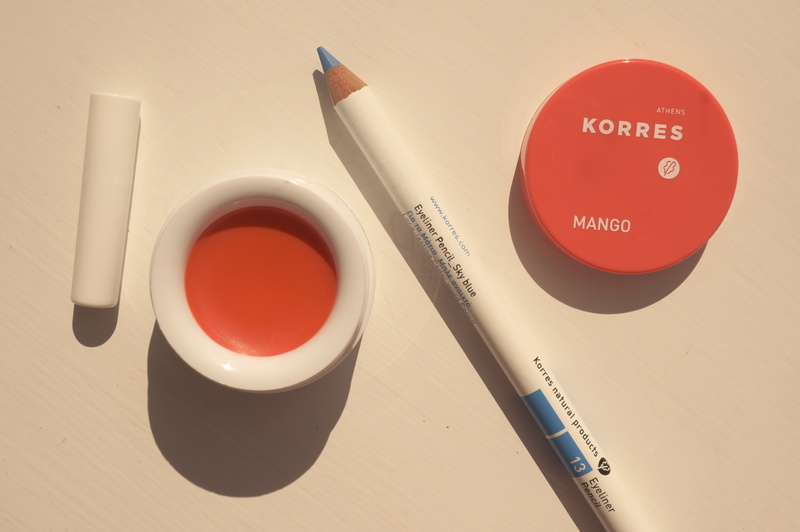 The Korres Lip Butter in Mango also smells lovely and gives your lips a hint of coral colour. Fingers crossed the summer will hold out until this weekend as it’s my wedding on Saturday! Eeeek!! Previous Post Fantasy Shoes Wishlist! Next Post Wedding Update! The Countdown is ON! 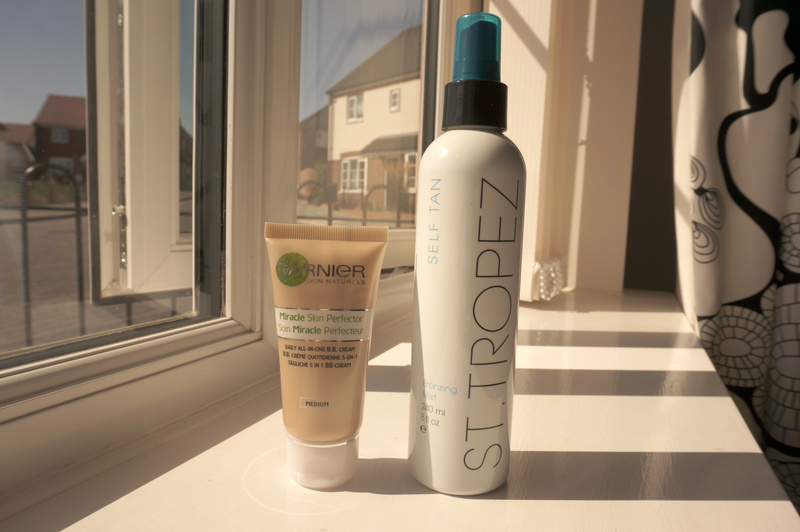 I love St. Tropez tanners, they are great!